Sold by: Insight Bath Messengers [Hunter's Dream]. 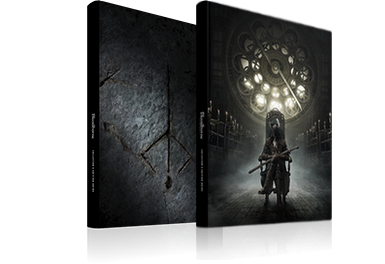 Available for purchase after killing Lady Maria of the Astral Clocktower. Among the first hunters, all students of Gehrman, was the lady hunter Maria. 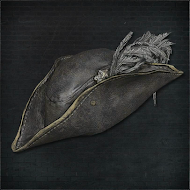 This was her hunter's cap, crafted in Cainhurst. Maria is distantly related to the undead queen, but had great admiration for Gehrman, unaware of his curious mania. 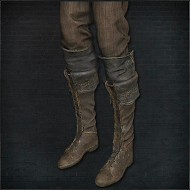 Maria Hunter Set has the highest Blood defense of all armor sets. Maria Hunter Cap has one of the highest Blood defense of all head pieces. 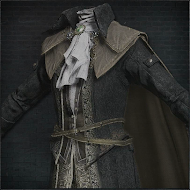 Maria Hunter Garb has the highest Blood defense of all chest pieces. 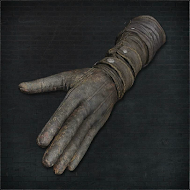 Maria Hunter Gloves have one of the highest Blood defense of all Hand pieces. Maria Hunter Trousers have one of the highest Thrust and Blood defense of all Leg pieces.